QuoteWerks® Sales Quoting and Proposal software solution that integrates with your CRM/PSA and Accounting Software. Looking for reviews of QuoteWerks? Check out our Customer Reviews. QuoteWerks is specialized (CPQ) software used in every industry for creating sales quotes and proposals. Rather than using Microsoft® Word® or Excel® to create your quotes and proposals, you can benefit from a tool that is specialized for the task of creating quotes and proposals. QuoteWerks fits into your existing software environment. It works with the software that you store your customer information in like ACT!, ACT! for Web, Autotask, ConnectWise, GoldMine, Google Contacts, Maximizer, MS Dynamics CRM, Outlook, Outlook BCM, salesforce.com, SalesLogix, and SugarCRM eliminating the need to re-type customer information. QuoteWerks also has its own built-in contact database. You can easily import your product information into QuoteWerks. 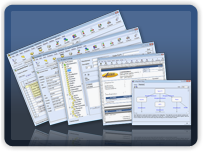 QuoteWerks can link to product database sources like external databases, Excel spreadsheets, or text files. You can also just type product information directly into the quote. If you use QuickBooks or Peachtree, QuoteWerks can even quote products that you have stored in QuickBooks or Sage 50 - US Edition / Peachtree. Our IT Industry Solution provides an integration with Tech Data, Ingram Micro, SYNNEX, D&H and more. You can get real-time pricing and warehouse availability from your vendors and using our QuoteWerks Product Content Subscription (powered by Etilize), customer friendly product descriptions, product images, and marketing descriptions. 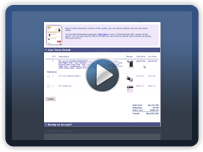 With QuoteWerks you can also submit orders electronically to your vendors and receive order status with shipping tracking numbers, serial numbers and more. With our QuoteValet® Add-on, you know when your customer views your quote and your customer sign electronically - no more signing and faxing, and can collect credit card payment including deposits. It integrates with your Accounting software like QuickBooks, Sage 50 US Edition / Peachtree, or others through 3rd party Accounting add-ons so when those quotes become orders you don't have to re-enter your orders, and those orders can be submitted electronically to your vendors! All of this eliminates costly mistakes. 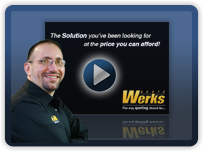 QuoteWerks has been empowering businesses for over 25 years - increasing their productivity and closing more sales by simplifying and speeding up their price quoting/proposal processes in the office and on the road. Have you ever asked yourself "How long does it take to create a quote or proposal?" If you take the time to really think about it you begin to realize what a time-consuming, daunting task it is. That's probably why most of us procrastinate getting those quotes out to our customers. Just grazing the surface, you need to find the products, services, prices, descriptions, call your vendors for updated pricing, type it all into the quote, format the quote, e-mail it to your customer and then follow up with your customer. QuoteWerks will make you more efficient, more consistent, more professional, and more competitive. The content of your quote and how you present your quote is important. The quote represents not only what you are selling, but is also an extension of your company brand and image. First impressions are important; they can make or break deals. The quicker you can get that quote into your customers hands the better chance you have of winning their business. Using QuoteWerks, you can "go the extra mile" for your customers - without all the legwork! Read in Progressive Distributor Magazine how Precision Airconvey reduced their quoting time from 5 hours per quote to just one hour. How are you creating your quotes and proposals now? Are you still using Microsoft® Word®, Excel®, or your Accounting software to create your price quotes? Find out how QuoteWerks is a much better solution. QuoteWerks is used in almost every industry by over 85,000 users worldwide in over 101 countries. We are the market leader. Whether your company is a small 1-person company or a large Fortune 100 company, you can benefit from the increase in productivity QuoteWerks provides. Who are our customers? This cross industry adoption of QuoteWerks is made possible by the core design of QuoteWerks which adheres to the fundamentals of the quoting process. This core design has contributed to its ability to be a useful tool for any industry that has a need to create price quotes containing itemized products or services. Of the hundreds of industries our customers are in, customers that heavily adopt QuoteWerks are IT Solution Providers, VARs, Managed Service Providers (MSPs), AV/Security Integrators, Custom Integrators, Manufacturers, and Manufacturer Reps.
Our customers use QuoteWerks to quote a wide variety of products including clothing, office products, electronics, medical equipment, irrigation equipment, landscaping, industrial equipment, trucks, and more. 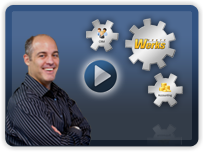 Hear our customers describe in their own words what industry they are in and what they sell using QuoteWerks. See what our customers say about their experience with QuoteWerks. and comes with a 30 day money back guarantee. View our complete price list. View our Edition Comparison matrix. Some customers ask "Is that price monthly?". No, it is just a one-time purchase. There are no setup fees. The price includes phone support. Our licenses are sold per concurrent user, not per named user, so if you have someone that only occasionally uses QuoteWerks, you don't have to buy a license for them. If those prices seem too inexpensive for how robust QuoteWerks is, it is our volume of 85,000 users that makes it possible for us to keep the prices affordable for all our users.